Enactus UK and Virgin Start-Up have partnered up to offer a competition opportunity unique to Enactus team members. Virgin are providing a great opportunity for Enactus students to provide feedback on their not-for-profit Enterprise Education platform. We want as many Enactus students to register from your team as possible to prove to Virgin that Enactus students are the most entrepreneurial and enterprising! Previously at the Enactus UK Training Weekend, Virgin offered five £100 Virgin Experience Vouchers to Enactus students picked at random who just had to register for the Life Start Enterprise Platform. These prize winners will be announced soon! Now, there are even bigger prizes. The main prize to be won is £1,000 for your Enactus team. This prize does not have to be spent on projects but must be spent to develop the team, its members or projects. Other prizes are available, see below. Challenge: "How would you improve LifeStart - Virgin's new service for students"
Go to studentlifestart.com or @slifestart for the Facebook group. Minimum 10 students per team must register/sign up up to LifeStart to enter the competition. The more students that sign up the better. Suggestions to improve the platform should be a minimum of 5 pages within a PowerPoint . What you do with this is up to you! Download the PowerPoint template here. 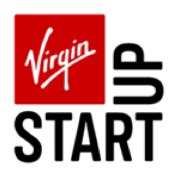 All who submit a challenge become LifeStart co-creators and will be invited to join co-creation workshops at Virgin offices in London running from January. Enactus UK will prioritise team members that register for invitations to future Virgin events. Who knows, you might be pitching in front of Sir Richard Branson!